It’s easy to consider digital life in terms of abundance. Photos are immediately saved to the cloud, and even spam is archived in our Gmail accounts. The “Trash” icon on our desktop is left over from a time when hard drive space was a concern. But the notion that the digital offers infinite resources is a fiction. The Internet is not an unlimited space of pure virtuality; it is a collection of server farms gobbling up energy spewing carbon dioxide. 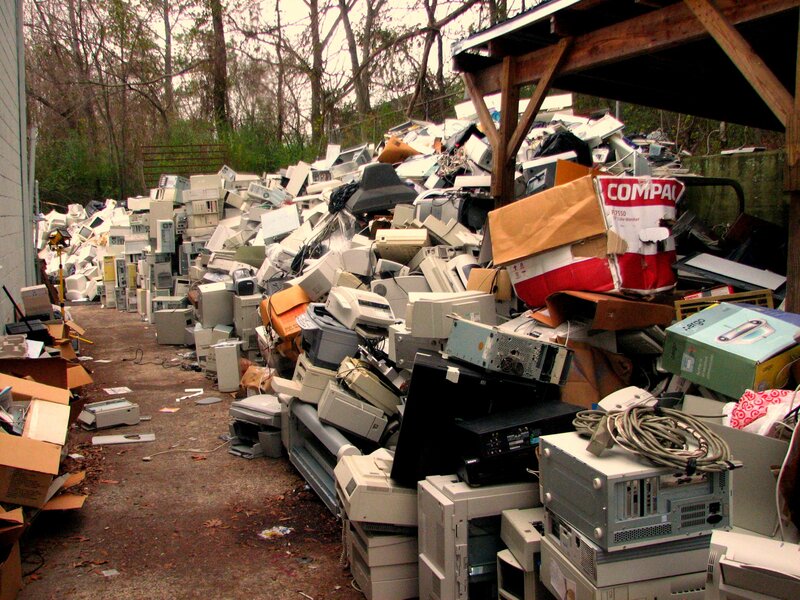 Digital devices are constructed from mined materials that exploit workers and economies, and those same devices are dumped without much concern for environmental impact. And the content we produce on various social media platforms attracts attention, which is itself a precious commodity. We produce a lot of digital trash. This course will ask students to consider the cultural, ecological, and political consequences of that trash. What kind of trash are we producing, and should we be considering more sustainable approaches to the digital devices that end up in landfills and the text, images, sound, and video we distribute online? This is an Engaged Civic Learning (ECL) course, meaning that the course is concerned with linking what we do in the classroom with the Camden community and thinking critically about responsible citizenship and community engagement. One of the key learning goals for this course is that students should leave the class with the ability to "clearly articulate the concerns discussed in this class to a public audience." You will be developing this skill during a final project: You will design and execute a "Sustainable Digital Practices" workshop with high school students from Camden.